Can we learn to crave healthier choices? Jess Haines and her children. Researchers are looking to identify risk factors for obesity and chronic disease early in life. They spit out their broccoli, wrinkle noses at asparagus and lock their lips at the mere prospect of nibbling a Brussels sprout. Some seem to have a radar-like sense for detecting the presence of kale, regardless of how well it has been pulverized with bananas and berries and served up as a smoothie. And say nothing of spinach, a lone leaf capable of producing a dramatic barrage of choking and gags from many a member of the pint-sized crowd. Picky eaters —specifically, those who seem born harbouring a violent opposition to any and all green vegetables — are well-known to parents everywhere. They can be exhausting, unyielding and un-trickable in this panicked era of eating, in which we are told, again and again, to eat more greens. That so many children refuse to do so may not actually be their fault — nor that of their parents. It turns out that hatred of vegetables may actually be programmed into your DNA. The question of how to conquer genetic traits that predispose people to eschew vegetables is one of many data points a group of researchers are seeking to answer in the Guelph Family Health Study. Launched as a pilot about two years ago, the massive University of Guelph study will ultimately include a cohort of 3,000 families tracked over 20 years. Researchers are looking to identify risk factors for obesity and chronic disease early in life, while testing a slate of interventions they hope will put families on a healthy track. Involving nine faculty members across four departments and three colleges at the university, the massive study is designed to address a critical gap in existing research: the impact of family household life on both early childhood behaviour and later-life health. 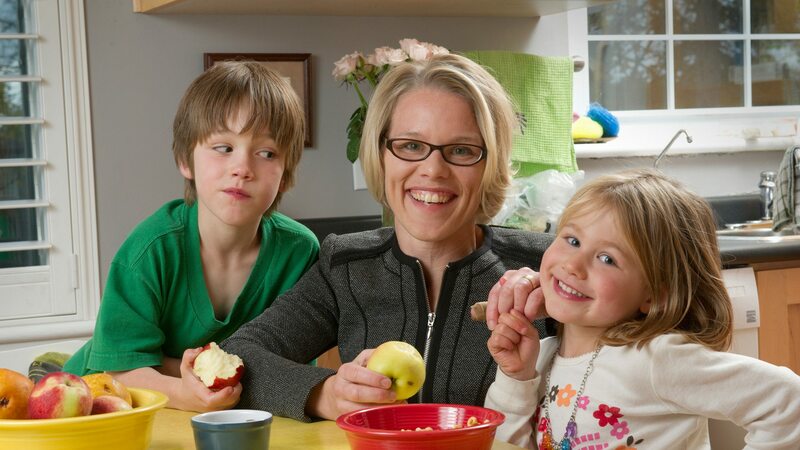 “This truly is an interdisciplinary approach to try to understand and support children’s health,” says Jess Haines, the study’s associate director and an associate professor of family relations and applied nutrition at the University of Guelph. Researchers already know that behaviours established during preschool years strongly influence whether a child will suffer from obesity and related diseases later in life. In order to figure out what shapes them, though, the study must test interventions that start with the parents. Genetically predisposed to avoid bitter flavours? At the dinner table, that change likely needs to start with dad. Preliminary findings from the study’s pilot phase, which included 44 families (79 parents, 55 children) suggest that when it comes to role modelling with food — and the resulting impact on waistlines — fathers may have a lot more sway than moms. The same is true of the questions surrounding the impact of DNA on diet and health. Elie Chamoun is a PhD student working to identify genetic taste profiles in children that cause them to avoid some foods and overeat others. One genetic variant he is examining causes some people to taste bitter flavours much more intensely than others; his work will help inform the interventions recommended by Haines’ team. Although the study is just getting off the ground, there is no shortage of guinea pigs. Local Guelph families, who receive several grocery store gift cards throughout the study, are clamouring to participate. Eighty have already signed up and will provide saliva samples for DNA, blood samples, body composition measurements, sleep and food journals and more. Those randomly selected for interventions will interact regularly with a health educator, who will send emails with health tips and visit the family at home to set goals based on what they want to achieve. So far, the pilot group has had a 95 per cent retention rate. The research team even sends out birthday, Mother’s Day and Father’s Day cards, as well as regular communication about the program and related community events, all of which keeps participants engaged for the long haul.